The U.S. Embassy in Mexico City distribued this news release from the American Chamber of Commerce/Mexico on Tuesday March 14. In 2017, the Chamber will work on two main objectives: increasing the competitiveness of the private sector and implementing binational linkages. 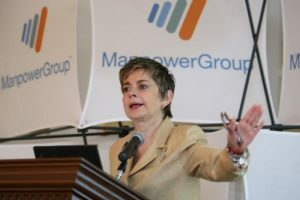 During the 100th General Assembly, Mónica Flores Barragán, President of ManpowerGroup for Latin America, was elected to chair the American Chamber of Commerce of Mexico during 2017-2018. 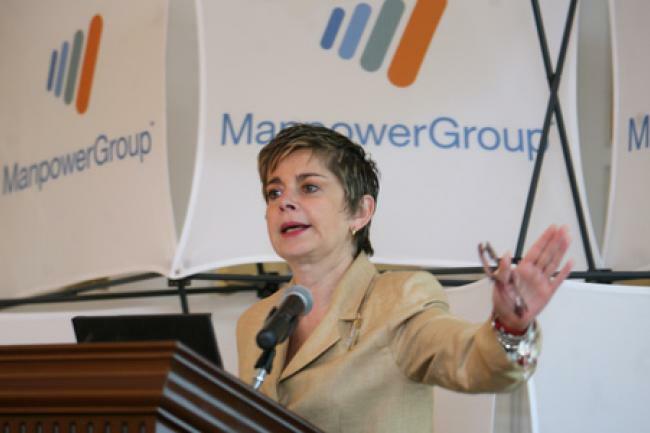 Flores Barragán will be the first Mexican woman to head this business organization. During her inaugural speech, Mónica Flores proposed two main objectives for the Chamber during her administration: to prepare a strategic agenda aimed at increasing the competitiveness of the private sector, with transparency and legality; and implement binational linkages between the companies that are part of AMCHAM, to strengthen collaboration at all levels of the supply chain and with society. She emphasized that “Amcham’s purpose is to facilitate trade and strengthen the relationship between Mexico and the United States which is key today more than ever.” Before a group of businesspeople, representatives of AMCHAM associated companies, government officials and opinion leaders of Mexico and the United States, the new president of AMCHAM stated that her commitment as head of the Chamber will be “to build an attractive business environment for the investment that generates better opportunities on both sides of the border.” She also reaffirmed that the organization will continue boosting business growth, formal employment and skills development in Mexico. During the event, José Antonio Meade Kuribreña, Secretary of Treasury, pointed out that it is now up to monetary policy to send signals of certainty to the markets and, therefore, to anchor inflation expectations and investment processes in Mexico with the joint participation of the public and private sector. He also indicated that the government has the task of continuing to work on the implementation of structural reforms that provide employment and development spaces. Carlos Sada Solana, Assistant Secretary for North American Affairs at the Mexican Ministry of Foreign Relations, asserted that Mexico has a bilateral relationship with the United States which is unique in the world, and a trilateral one that includes Canada, both of which work very well. We must take advantage of the opportunity afforded us by the modernization of our trade instruments to strengthen the bilateral relationship. He concluded by stating that North America is destined to be a more prosperous and secure region if the three countries work shoulder to shoulder.